Two grain storage bins in as many weeks ready! Senegal Two grain storage bins in as many weeks ready! 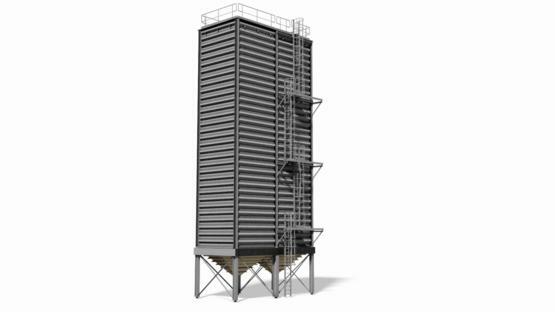 NMA (Nouvelle Minoterie Africaine) Sanders, a Senegalese industrial player in the food industry, appealed to SCE to expand its plant with two new grain storage bins. 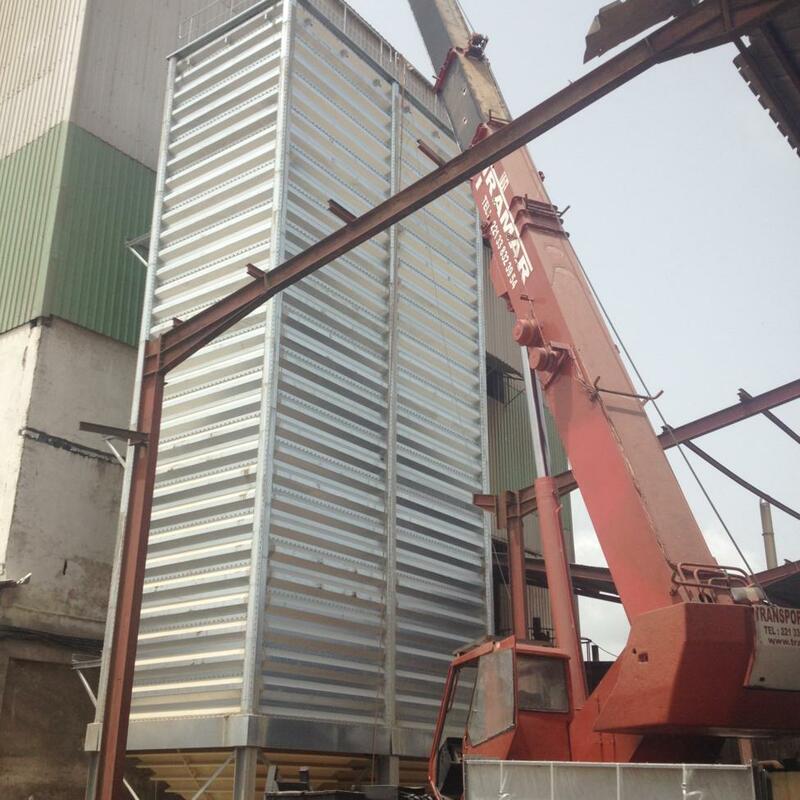 Both bins were installed on site in just two weeks. Each stage of this Belgium-Dakar was a success! Both bins are in strong corrugated walls and - very important in Dakar - a rainproof roof. 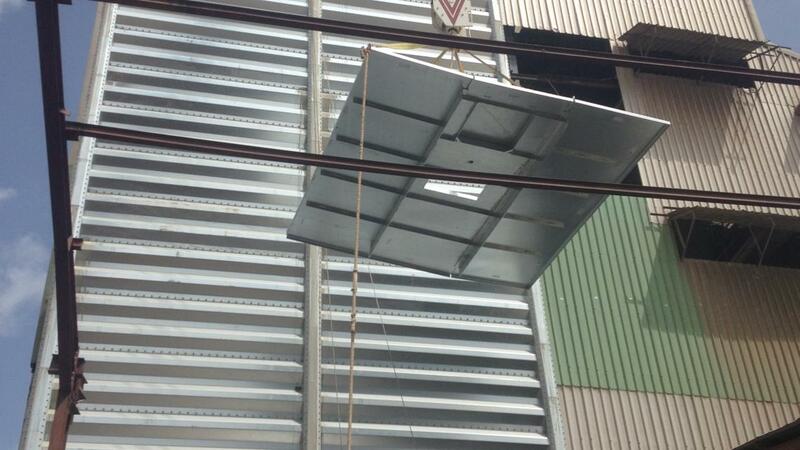 The square bin structure of 4 by 4 meters each were installed without tie rods and ensure a perfect product stream. 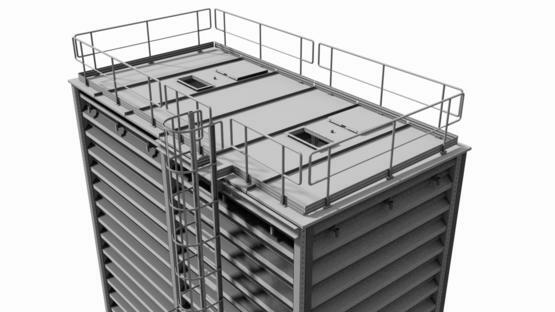 Both bins have a total storage volume of 528 m3. Installation on site took only two weeks. A great achievement!